One of the things I absolutely love is making up my own concoctions in the kitchen that are healthy and leave me feeling satisfied. Best of all, making something in one dish that I can pop a lid on after for easy storage, no clean up, and perfect for taking to work in the AM. 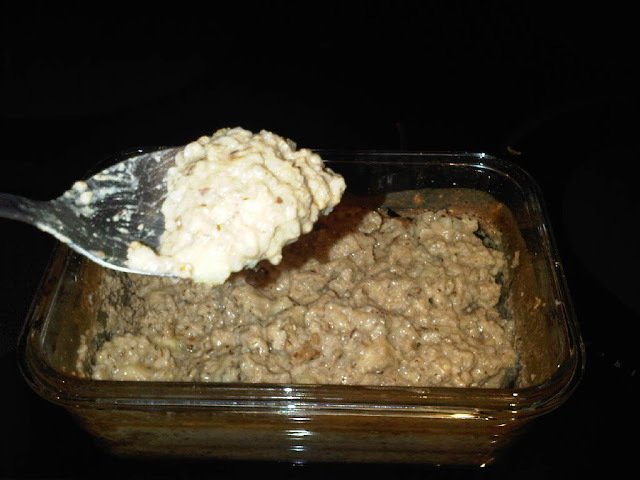 This is by far, one of my most eaten (and favourite protein enriched recipes). You all must be thinking, “what are protein egg oats”, and its just that. 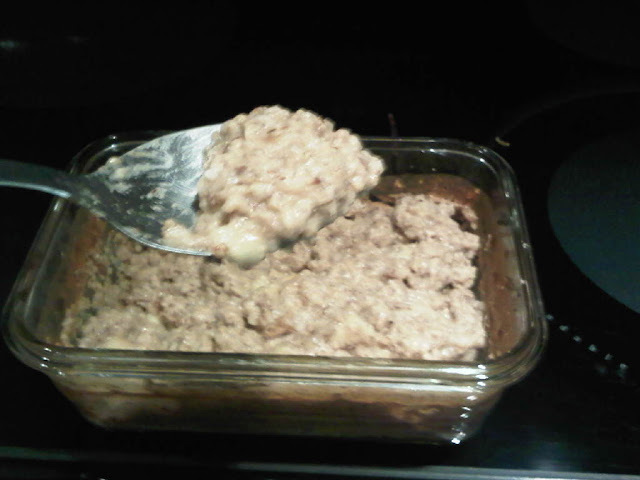 Oats, protein powder and eggs whites to be exact. Mix all the ingredients together. You may wish to add some water as well. Pop in the oven at 350F remove after 20 minutes and stir pop in again for a final 10 minutes and VOILA! A no mess healthy and tasty breakfast. I know it doesn’t look appealing but let me tell you this is so delish! You can make it as sweet as you want as well (Sometimes I add stevia for a little more of a dessert treat). 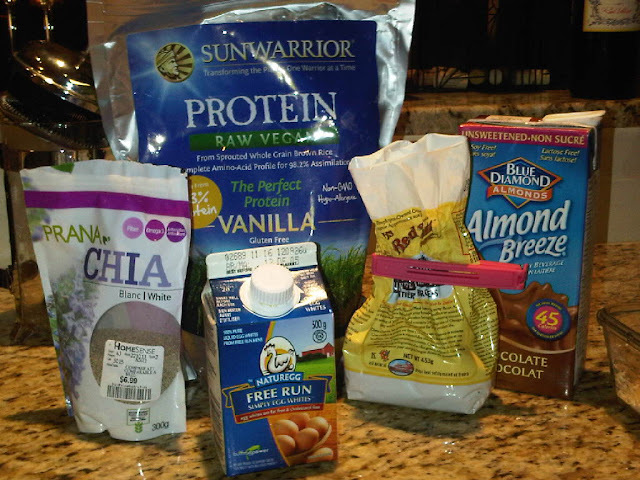 Have you tried protein egg oats before? I can't say I've tried it before but I will in the near future. I'm always looking for simple ideas that this one is great...you also sold me when I saw a banana...yum! I love oatmeal. It is one of my favorite breakfast foods. But I have never had protein oatmeal before. I will have to give it a try. 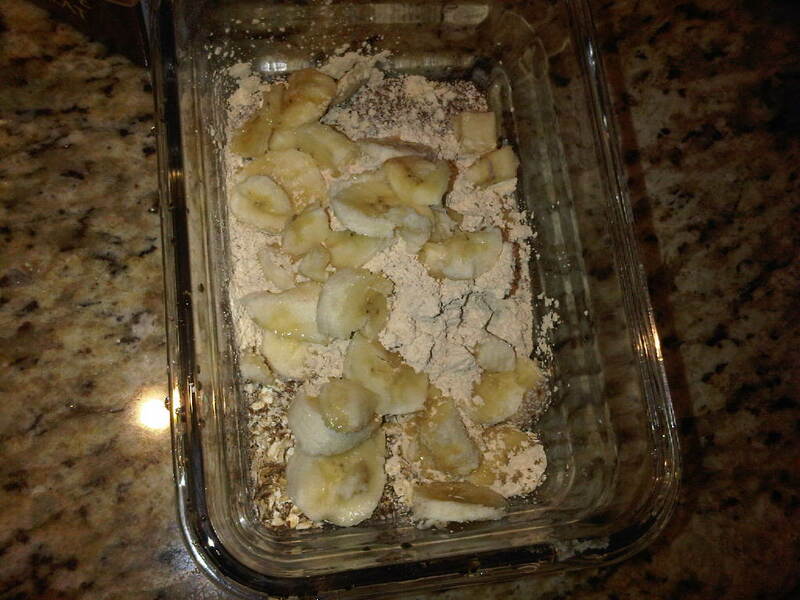 I am not into oatmeal or bananas so I think I'd have to modify this recipe a bit!! Thisdoes look very healthy. Hope you had a blast in Mexico! I can't make it to the blogger get together next week, we should do something before things get crazy with the holidays. I can't believe the last time I saw you and Kat was in august!!! Thanks for the new recipe!